1. The graduation sequence was cut down significantly to speed up the pace of the film. As a result, there are several continuity errors. Among the cut footage was Dan's graduation speech, dialogue between Greta and Racine, a chat between Yvonne, Alice, and Greta, additional dialogue about parents and future plans, and a scene in which Alice's father gives her a camera she had been saving up for as a graduation present before she went to Paris (if you watch closely, you can see Alice hand her father a camera before they go to take the group picture). 2. Dan's original motorcycle death was longer and was much more elaborate, and contained much more gore. 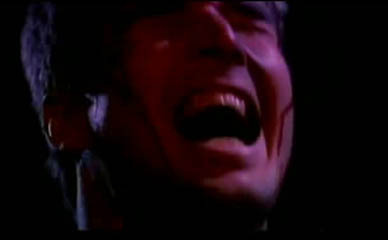 Many sequences showing Dan's face racked in pain were cut, along with his screams and Freddy's laughter. Scenes which are on screen for only moments were actually several seconds long on film. 3. Greta's death scene was heavily edited. Originally, Freddy filleted the Greta-doll with the claw causing it to spurt blood everywhere and then force-fed her its innards. Shots of the guests laughing were toned down or cut altogether. Also, after Freddy said, "You are what you eat," she looked down and realized he had gutted her and was feeding her mush from her own stomach. This explains why the Greta-doll in Mark's dream is bleeding from its torso. 4. Mark's death scene was also heavily cut. 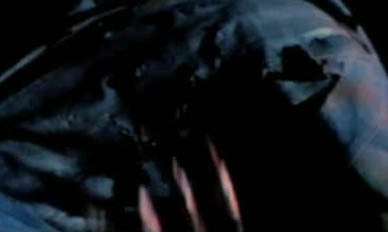 As Freddy shreds the paper in the unrated release, his face is animated and shows him screaming along to his cries of pain until Freddy cuts his paper head off. 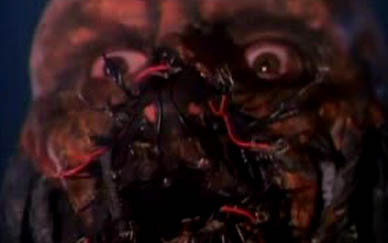 All three scenes can be viewed unedited in the original unrated VHS release, but not on any subsequent DVD releases.